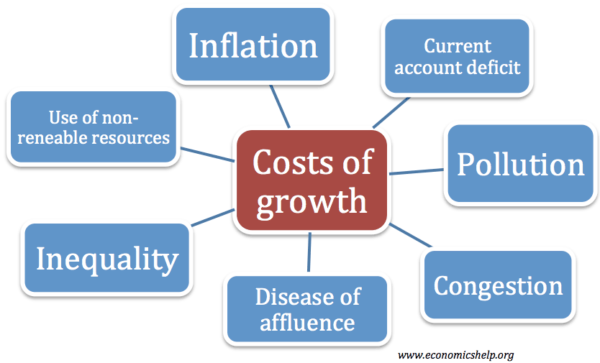 The costs of economic growth will depend on the type of growth that we see. 1. Inflation. 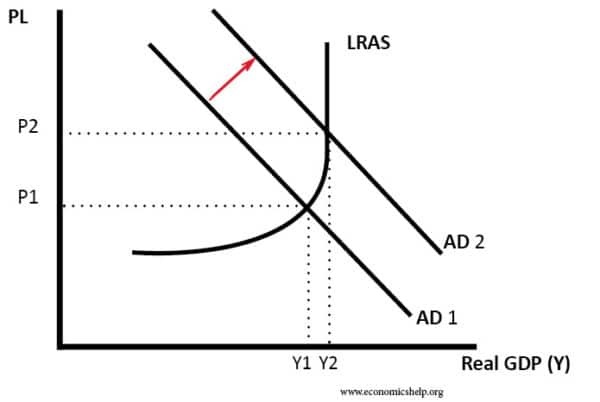 If Aggregate Demand (AD) increases faster than Aggregate Supply (AS), then economic growth will lead to higher inflation as firms put up prices. 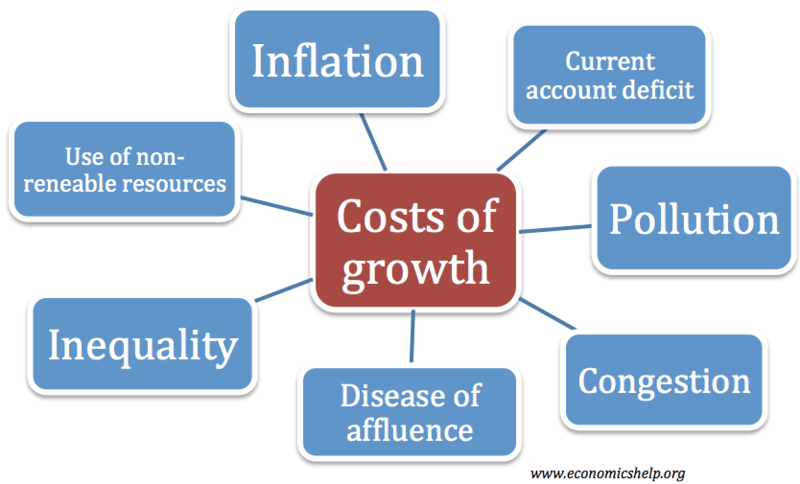 Economic growth tends to cause inflation when the growth rate is above the long run trend rate of growth. It is when demand increases too quickly that we get a positive output gap and firms push up prices. Graph showing economic growth caused by rising AD leads to inflation. 2. Boom and bust economic cycles. 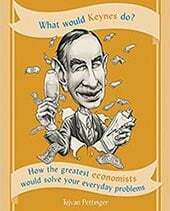 If economic growth is unsustainable then high inflationary growth may be followed by a recession. This occurred in the UK in the late 1980s and early 1990s. 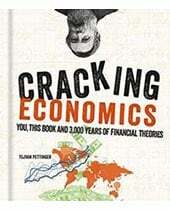 In the 1980s there was an economic boom with growth of over 4% a year. However, this rate of economic growth caused inflation to rise to over 9%. To reduce this inflation, the government increased interest rates, and this rise in rates caused the economy to slow down and then enter into a recession. However, if economic growth is at a sustainable rate, this will not occur. 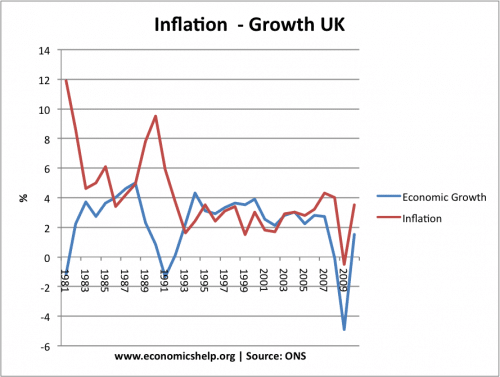 For example, between 1993 and 2007, both economic growth and inflation were at a sustainable rate. In this diagram we have AD increasing at the same rate as LRAS. In this case, we get economic growth without inflation. 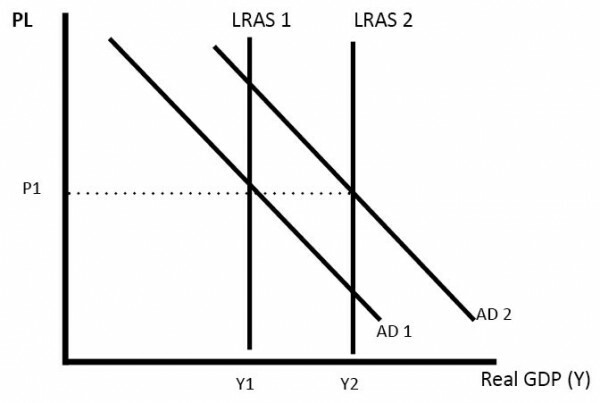 Increased economic growth tends to cause an increase in spending on imports, therefore, causing a deterioration on the current account. 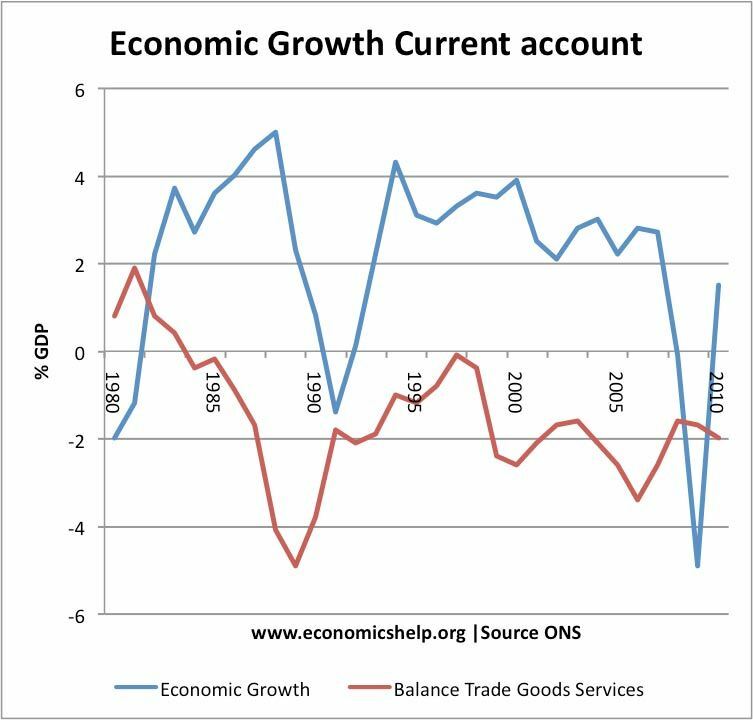 This shows that in the 1980s UK economic boom, there was an increasing deficit in the balance of goods and services. In the late 1980s, there was high growth in consumer spending leading to a rise in import spending. In the recession of 1991, there was an improvement in the current account. 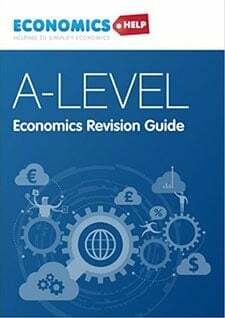 The UK is susceptible to a current account deficit during high growth because the UK has a high marginal propensity to import. Increased economic growth will lead to increased output and consumption. This causes an increase in pollution. Increased pollution from economic growth will cause health problems such as asthma and therefore will reduce the quality of life. Economic growth also means greater use of raw materials and can speed up depletion of non-renewable resources. Economic growth can also lead to problems of congestion as more people can afford to buy a car, but it is hard to increase the supply of roads to meet demand. Higher rates of economic growth have often resulted in increased inequality because growth can benefit a small section of society more than others. For example, those with assets and wealth will see a proportionally bigger rise in the market value of rents and their wealth. Those unskilled without wealth may benefit much less from growth. 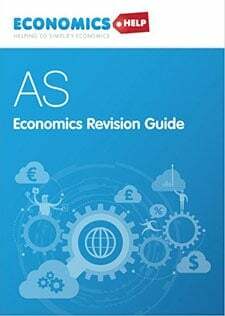 However, it depends upon things such as tax rates and the nature of economic growth. 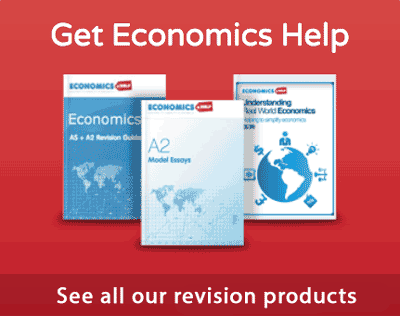 Economic growth can also be a force for reducing absolute and relative poverty. With rising living standards it can cause unintended consequences. For example, with rising incomes, there are more goods to steal. Also, high growth can make people more materialistic – which encourages crime. Crime rates have risen since the 1930s. Also, higher incomes enable people to afford more food – this is a factor behind rise in obesity and health related problems. It depends on the nature of economic growth. If growth is balanced and sustainable, then it can occur without inflation. Also, the environmental costs of economic growth can be minimised through the better use of technology.